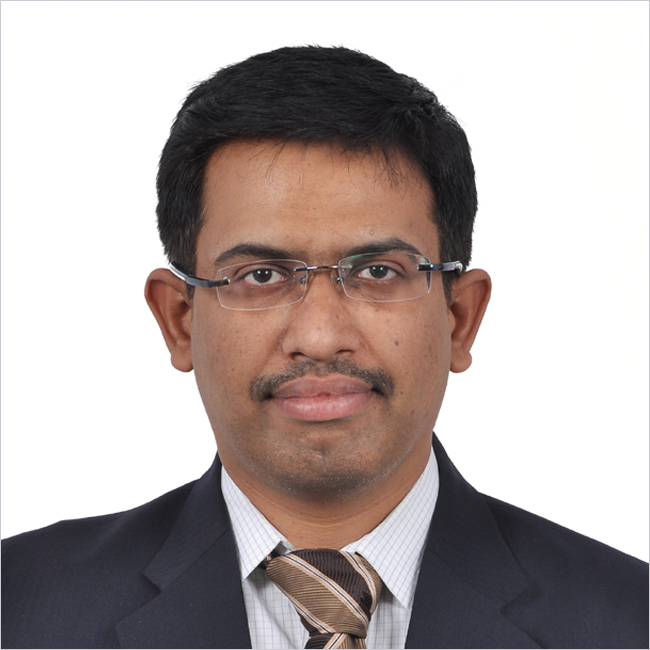 Dr. BALAKUMARAN.J did his MBBS - 2006, IRT Perundurai medical college and research institute, Tamilnadu DR.MGR medical university, India, MD (Internal medicine) - 2010, Kasturba medical college, Manipal (KMC- Manipal),India, DM (Cardiology) - 2015, PGIMER & DR.RML Hospital, Newdelhi, India. Dr Balakumaran after graduating in cardiology from PGIMER & DR.RML hospital, New Delhi worked as an associate consultant in KMCH Hospitals for more than two and half years and being promoted as a Consultant interventional cardiologist. Since he had finished graduation from a reputed institute, he is good in all coronary interventions. He is very much interested in academics. Complex coronary interventions, Pacemakers, Device closures, PTMC, BAV and all structural interventions. MD Internal medicine (GOLD MEDALIST), DM Cardiology (GOLD MEDALIST). Accomplished GOLD MEDAL-Best outgoing student in department of Cardiology-PGIMER & DR.RML Hospital, New Delhi. UNIVERSITY TOPPER (GURUGOBIND SINGH INDRAPRASTHA UNIVERSITY, NEWDELHI) in Superspeciality examination, 2015. Awarded first prize in state level echo quiz conducted by department of clinical cardiology, Medanta Super Speciality hospital, New Delhi. Best case award in a conference conducted by Cardiology society of India (CSI), New Delhi-2015. Awarded BEST CARDIOLOGY FELLOW of the year 2015 by Cardiological society of India- National Interventional council, NIC 2015 at New Delhi. Achieved SECOND prize in a quiz conducted by Department of cardiology, Kasturba medical College, Manipal (2009). Awarded FIRST prize in quiz conducted by Karnataka physician conference, KAPICON Karnataka chapter (2009). Accomplished GOLD MEDAL - Best outgoing student in MD internal medicine, Kasturba medical college, Manipal affiliated with Manipal University (2010). Balakumaran Jeyakumaran, Ajay Raj, Bhagya Narayan Pandit, Tarun Kumar & Surender Deora. Iatrogenic left main coronary artery dissection due to pin-hole balloon rupture: Not to be panicked Acute cardiac care, June 2016. Balakumaran Jeyakumaran, Ranjit Nath, Neeraj Pandit. A study of coronary angiographic profile in patients with possible coronary artery disease undergoing permanent pacemaker implantation.Post Graduate Medical Education& Research Journal, Vol 1, Issue 2, July-Dec 2015. Balakumaran Jeyakumaran, Ranjit Nath, Neeraj Pandit. An unusual case of early coronary aneurysm formation after sirolimus eluting stent implantation. Delhi Heart News, Vol 1, Issue 1, March 2016. Presented a paper titled "Transcatheter closure of Post-MI ventricular septal rupture" in GB Pant hospital, New Delhi, India (2015). Presented "An urgency became an emergency - A Patient with right atrial thrombus" in Cardiology society of India, Delhi (2015). Presented "An Uncertainty in diagnosis of acute myocardial infarction in Cath lab" in CSI Delhi (2015). Presented "An unusual case of coronary aneurysm after angioplasty" in National interventional council.NIC 2014, Kochi and CSI Delhi (2014). Presented the research paper "Correlation of Ankle brachial index and carotid intima media thickness in patients with atherosclerotic risk factors and events" in state level physician conference, KAPICON, Karnataka, India.(2009). Presented a case of "Primary cutaneous cryptococcosis - A Rare presentation" in National physicians conference, APICON, New Delhi. (2009). Presented a case of "Camphor poisoning- An unusual case of status epilepticus'' in Karnataka physicians state conference, KAPICON, Karnataka (2008).